NTT Data will provide security and risk assessment services to agencies and higher education institutions across Texas under an agreement with the Texas Department of Information Resources. 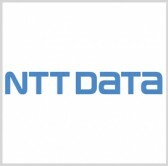 NTT Data said Monday it will work with its affiliate NTT Security (US) to analyze information technology security gaps, evaluate results and offer recommendations to address identified risks. Tim Morton, senior vice president at NTT DATA, said the company will work to help Texas DIR reduce cybersecurity risks that state agencies and higher education institutions face through the provision of risk assessment support under the partnership. NTT Data and NTT Security (US) have at least 1,500 security consultants that work to help organizations develop risk management programs designed to address security gaps.